In November, Oklahoma City International Folk Dancers held its 35th annual Old Country Weekend in Kingston, Oklahoma. Fifty dancers from Oklahoma, Texas, Arkansas, and Washington attended the workshop. Featured teacher Yves Moreau taught 12 Bulgarian dances from 7 ethnographic regions of Bulgaria. This entry was posted in Uncategorized on 28 February 2019 by tifd. Our annual meeting was held during lunch on Saturday at Texas Camp. Among the items on the agenda were electing new board members, reporting on finances, and some updates on running Texas Camp both now and in the future. This entry was posted in Uncategorized on 10 January 2019 by tifd. Over the past 20 years TIFD has received donations of materials, consisting primarily of vinyl records. Lacking storage space for these, the organization arranged to have them stored at the home of long-time member Dr. Chuck Roth. Recently Dr. Roth requested that TIFD take possession of the records since he can no longer store them. 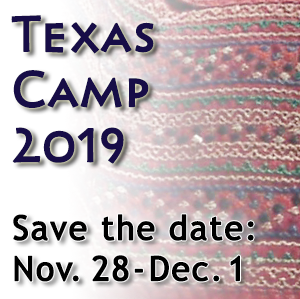 Copyright © 2019, Texas International Folk Dancers. Comments to: webmaster.